Welcome to the website of the Nashville Presbytery! The Nashville Presbytery is a presbytery of the Presbyterian Church in America. A list of our member churches may be found here. Our meetings are announced here. If you would like a list of our committees and their membership, that can be found here. If you are a member of presbytery looking for a ministerial directory, reports for an upcoming meeting, minutes of a previous meeting, or a copy of our standing rules, you can go here. This page requires a password. You can contact the Stated Clerk if you do not have the password. 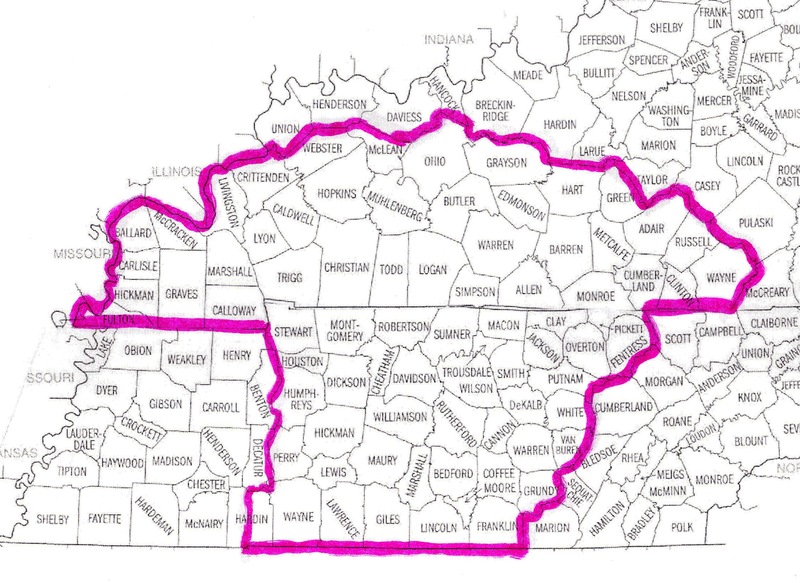 Our presbytery bounds include all of Middle Tennessee and a portion of southwestern Kentucky, as illustrated on the map below (click on the map for a larger image).